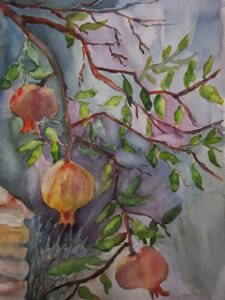 Following our recent art retreat on Hvar, California artist Mary Paquet has posted a couple of articles on her blog about the experience, and shares her artwork from the trip. Thanks, Mary! Her blog also includes entertaining stories of her travels to other places armed with a painting kit! 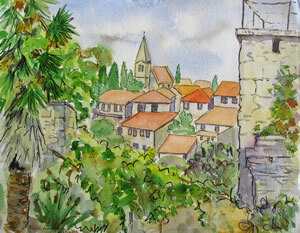 And you can see more of our sketches and paintings of Hvar on the Santa Clara Valley Watercolor Society’s Paintsites blog. Paintsite coordinator and plein-air artist Jenny Tero has posted a lovely long article about painting on Hvar, and shows not only her own art, but a collection from the entire group. Thanks, Jenny! Thanks, Marion, for featuring our blogs. The Retreat was terrific.